728'6" by 95'4" by 31'11"
Torpedo protection consisted of double side, 2" (51mm) HT torpedo holding bulkhead, and two cofferdam bulkheads. Torpedo protection designed against 440 lb (200 kg) or more of TNT. Modifications Light antiaircraft armament already differed between units when war broke out in the Pacific. Armament shown is for Kongo. Kongo and Haruna had Type 21 radar installed just prior to the Battle of the Santa Cruz Islands, 26-27 October 1942. By 1944-2, the surviving units all had radar and the secondary armament was altered to 8 6", 6x2 5", and 6x3, 12x2 25mm AA guns. 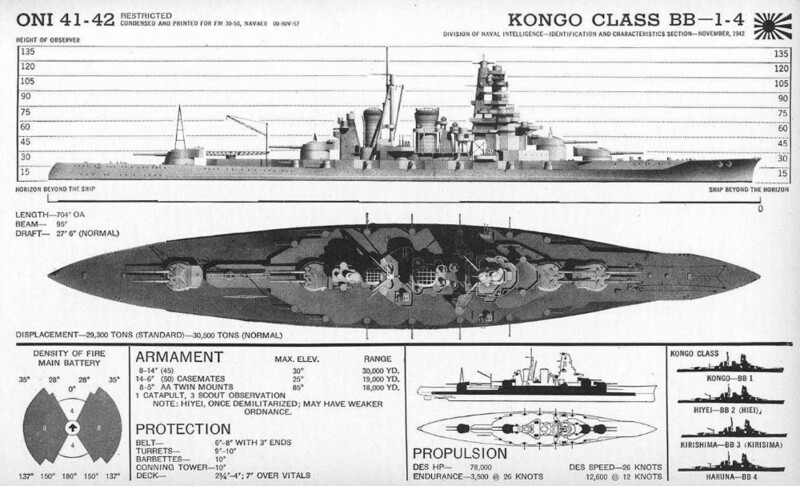 In October 1944 Kongo had 16x3, 8x2, 40x1 25mm guns. 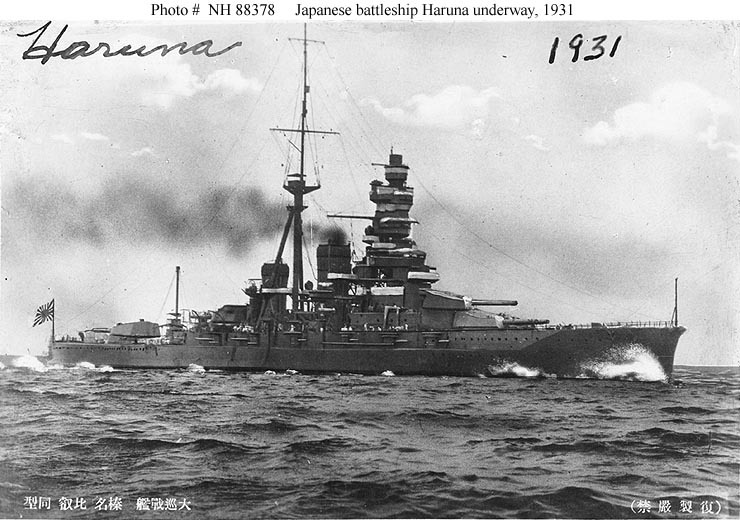 Haruna had 30x3, 2x2, 6x1 25mm guns. 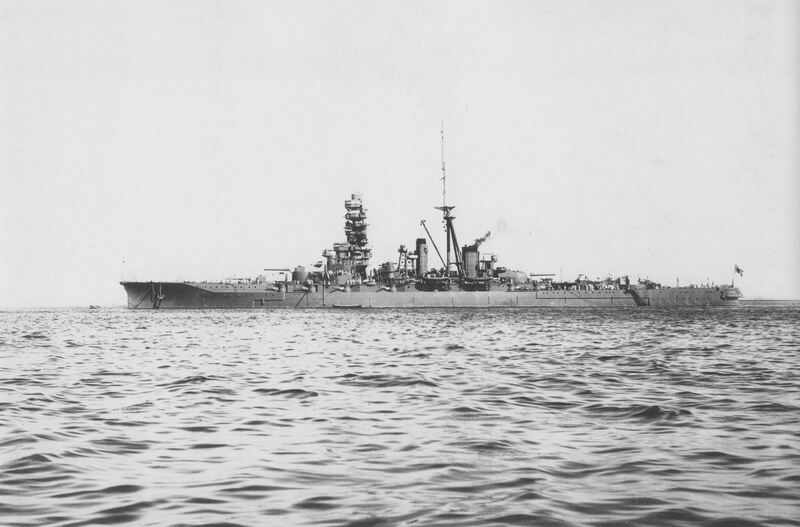 Both had Type 13 radar and Kongo had Type 22 radar. 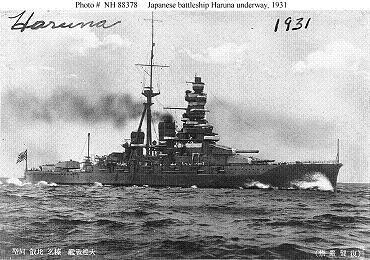 1945-1: Haruna had 30x3, 2x2, 24x1 25mm guns and was armed with depth charges. 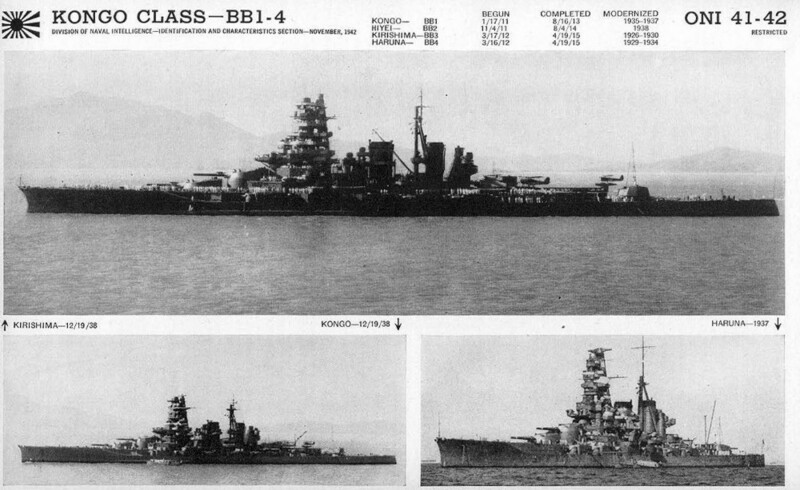 The Kongos were originally completed as battle cruisers in 1913-15, one each in the British Vickers yard, the Yokosuka naval yard, the Kawasaki Kobe yard, and the Mitsubishi Nagasaki yard. The design resenbled an improved version of the British Lion class, incorporating the best technology of the time, and when commissioned the ships were probably the finest capital ships in the world. Their main battery was among the first to use 14" (356mm) guns, following extensive trials that established their superiority over the 12" (305mm) guns that were then the standard for capital ships. The secondary battery was unusually large due to concerns about destroyer torpedo attack. The Kongos themselves carried eight torpedo tubes, but these were removed during modernization. They were extensively modernized in 1931 and 1940, receiving improved machinery and heavier armor protection, and were reclassified as battleships. 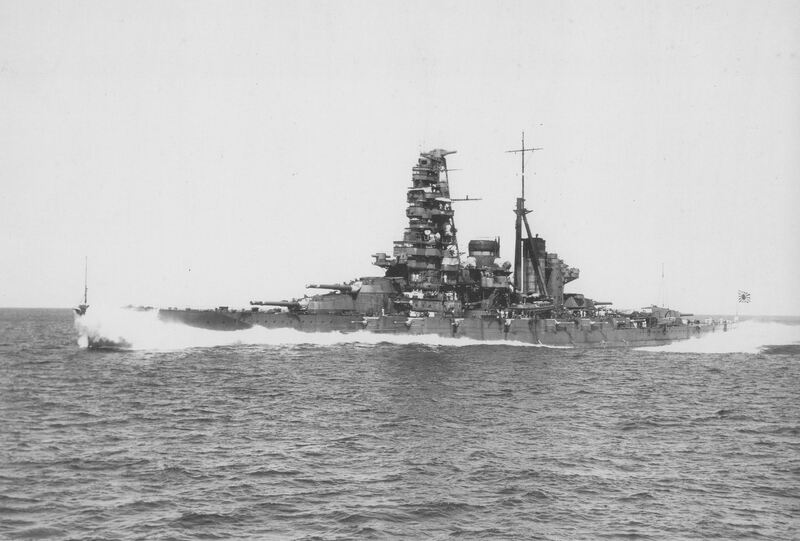 They were the only battleships in the Japanese Navy fast enough to effectively escorting fast carriers. However, they were rather lightly armored even after their modernization, and this proved fatal in the Solomons campaign, where Hiei was crippled by heavy cruiser fire and Kirishima succumbed to a devastating volley of radar-directed 16-inch shells from the brand-new Washington. 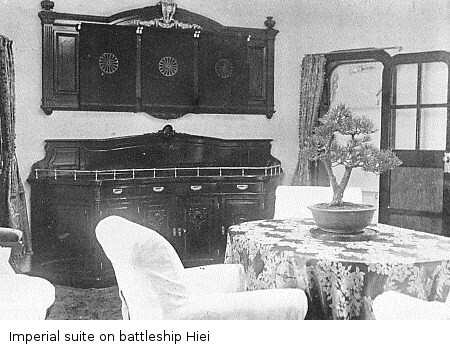 Hiei was acknowledged to be the Emperor's favorite warship.